Our Practice - SAMUEL HATHY III, O.D. 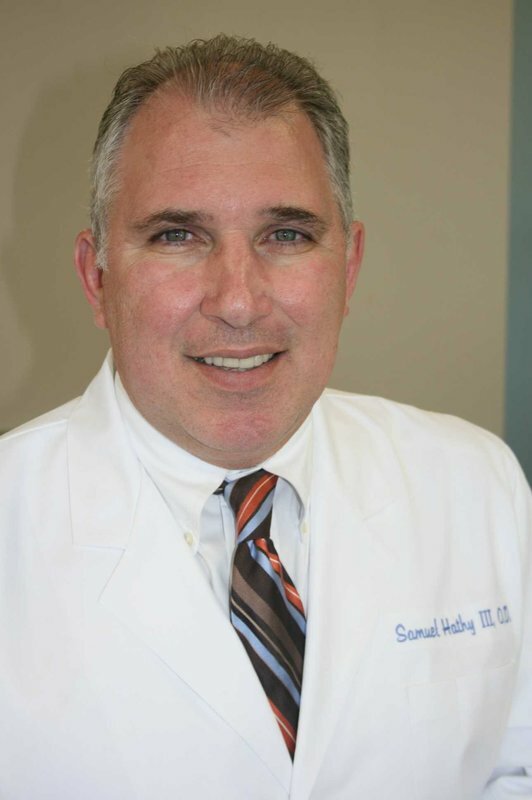 Dr. Hathy is a 1981 graduate of the University of Florida and a 1989 graduate of the Southern College of Optometry in Memphis, TN. He is clinically trained with diagnosis and management of ocular diseases and maintains a close relationship with local glaucoma, cataract, and retinal specialists. ​Dr. Hathy specialties include contact lenses, Lasik vision consults, and pediatric examinations. He has two grown children, Samuel and Sara, and resides in St. Johns with his wife Mary. Our outstanding staff includes front office, clinical, and optical specialists to assist our patients. These are highly trained individuals who are dedicated and compassionate. At Hathy Vision Center, we are proud to offer our patients exceptional vision care for life.